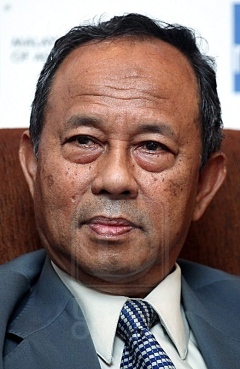 Taman Tun, 19 June: PM Najib Razak has a weird sense of humour., sometimes His decision to appoint Isa Samad as acting Chairman of SPAD, the Commission that oversees the crucial and often volatile public transportation sector, actually made me laugh. 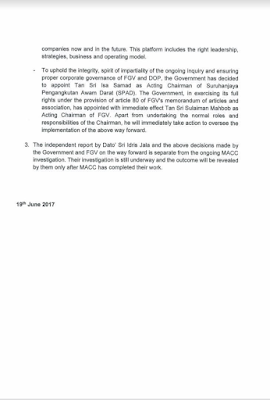 Wakaka! 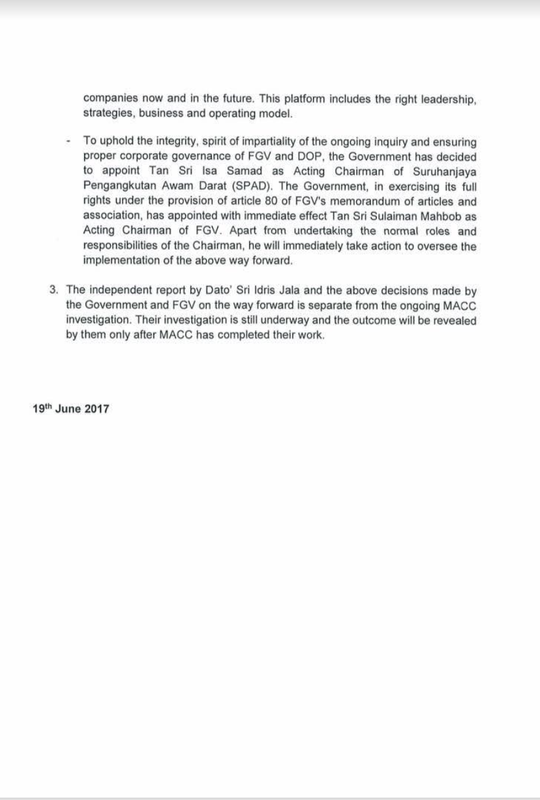 Sulaiman Mahbob's appointment as FGV Chairman, to replace Isa Samad, is not as funny. It could actually bring FGV to greater heights! 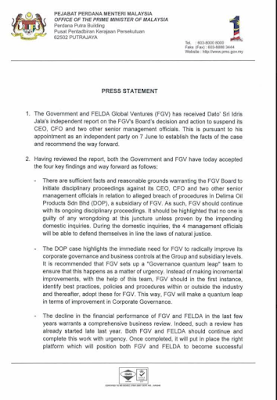 Interestingly, it has also been established that the FGV Board chaired by Isa (and attended by Sulaiman) had basis to initiate disciplinary action against its now-suspended CEO Zakaria Arshad. 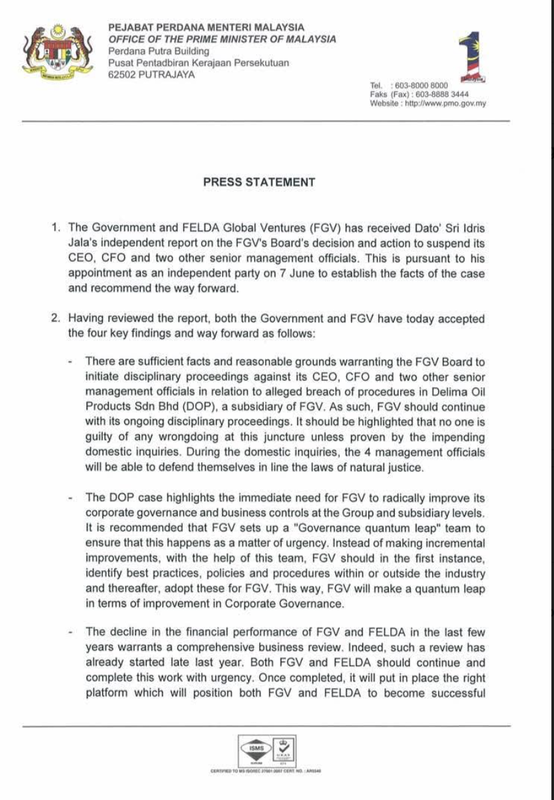 So, it is still not business as usual at FGV yet.